If you live in Merritt Island, you can buy near Merritt Island! If you think you have to go to Orlando to get a car, then you thought wrong. You’ll pay more, get worse service, and be an hour from home. Instead, you can buy new Hyundai models in Merritt Island, FL. 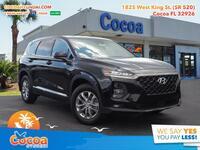 Cocoa Hyundai is just outside of Merritt Island in Cocoa, FL and we offer the selection you want, the financing you need, and the customer service you deserve. Plus, we have other benefits that those big city dealerships just can’t match. The Santa Fe is ready to be your family vehicle in Merritt Island. It has room for five, the efficiency you need, and the features that you want. Let’s get your family behind the wheel. 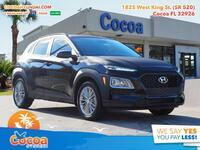 The Kona is the new compact crossover from Hyundai, with real style, real grace, real power, and really great features. Don’t let its size fool you, it sports a spacious interior that’s still great for families. 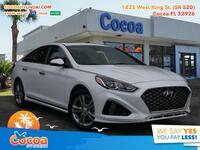 If the sedan life is the life you want to lead in Merritt Island, then the Elantra is an immensely popular Hyundai model that’s worth trying out, and Cocoa Hyundai can put you behind the wheel. Hyundai makes a wide range of vehicles that includes everything from compact sedans and hatchbacks all the way up to three-row SUVs. 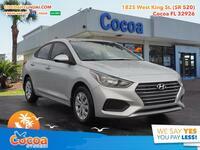 See more of what Cocoa Hyundai has to offer to Merritt Island shoppers below. 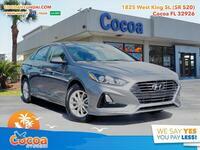 Why buy from Cocoa Hyundai in Merritt Island FL? We’re close to you, but that shouldn’t be the only reason that you come to buy from us. We are your local dealer that cares, and we will tailor the buying experience to your needs. We go the extra mile for every one of our customers so that they don’t have to go the extra mile to a different dealership. 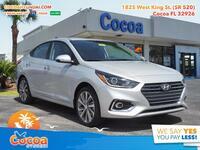 Free oil changes for life on all new Hyundai models sold here! One Million Miles Plus Powertrain Warranty on all new Hyundai models sold here. Three-day exchange policy. You don’t like it, you can return it. Bad credit financing programs and options. Full service center and body shop! We are Family Owned and Locally Operated. Support your local community! Our huge selection includes all the Hyundai models you could possibly want including Accent, Veloster, Elantra, Elantra GT, Sonata, Kona, Tucson, Santa Fe, Santa Fe XL, and more! Come see us today or reach out to us now through this page. We look forward to working with you Merritt Island!